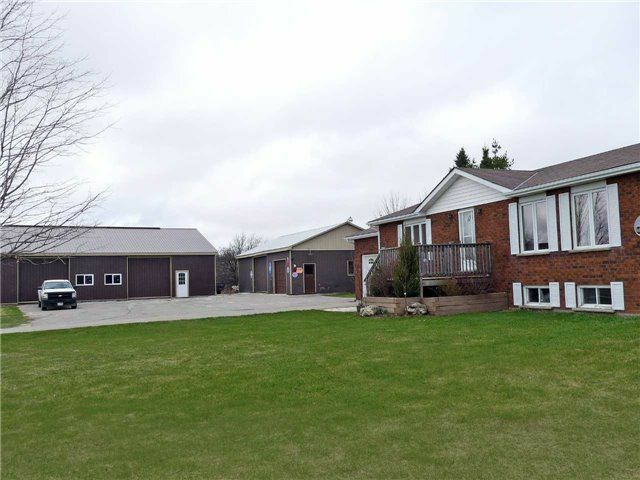 The Perfect Property For Anyone Who Has A Home Occupation Business And Requires 2 Steel Buildings With A Large Concrete Pad For Several Vehicles/Machinery & All Located On Highway 10 With Easy Access In & Out. Great Opportunity To Have Your Home And Business On The Same 1.77 Acre Lot. Quality Home Raised Bungalow (Approx.. 1200 Sq. Ft. On The Main Level & Same In The Basement). Finish The Basement To Your Own Needs. 4 Min. North Of Shelburne.